Related is the Nordic PR representative for a range of luxury resorts under the brand Banyan Tree Hotels & Resorts, handling press releases, pitches, press trips, etc. Related is the Nordic PR representative for Visit Benidorm and handles press activities, such as press releases, brand coops, press trips and influencer trips. 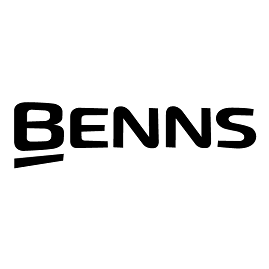 Related assists the Danish tour operator Benns with PR activities, such as press releases and press pitches on an ongoing, monthly basis. We assist Brand USA with coordinating dinner events for the Scandinavian travel trade industry in spring 2019. Related assists the boutique hotel Castell Son Claret with press activities in the Scandinavian market, including press releases, press trips, influencer trips, etc. Related helps the Tourist Board of Costa Brava Girona rolling out a unique “tastemotion” event concept in Stockholm. Related assists CATM with the selection and invitation of relevant Nordic tour operators to invite to the fair as well as follow-up, pre-event communication and travel coordination. Related is responsible for social media and influencer activities for Croatia National Tourist Board in Sweden and Norway. Related is the Scandinavian representative for VISITFLANDERS and handles all travel trade, PR, marketing and MICE activities in Sweden, Denmark and Norway. Related is the Scandinavian representative for The Beaches of Fort Myers & Sanibel and handles all trade, press and marketing activities in Sweden, Denmark and Norway. As the Nordic representative for Gambia Tourism Board, Related has been responsible for all PR and trade activities, including fam trips, press releases, press trips and sales calls. Related is PR and trade representative for Geneva Tourism in the four Nordic countries. As Nordic full-service representative for The Great American West, Related handles trade, PR and marketing in the four Nordic countries + Iceland for Idaho, Wyoming, Montana, North Dakota and South Dakota. As the Danish representative for Hotel Hafen Flensburg, Related is responsible for PR and trade activities, such as press releases, media visits, brand coops and sales calls. Related assists Innovation Norway with a range of press activities in Danish and English for the Danish and global market. Related is representative office for Tourism Ireland in Sweden and Denmark, assisting with both PR, trade and marketing activities. Related handles Nordic PR for Jamaica Tourist Board, inlcuding proactive PR pitches, coordination of presstrips and local SoMe channels. Related assists the Danish tour operator Jysk Rejsebureau with a range of PR activities, such as press releases and press pitches on an ongoing, monthly basis. Related has been the Nordic representative for Kenya Tourism Board from 2014 to 2017, handling all their PR, travel trade and marketing activities in the four Nordic countries. As the Scandinavian representative for Las Vegas (LVCVA), Related is responsible for all PR, travel trade and marketing activities in Sweden, Denmark and Norway. Related assists Lisboa Convention Bureau with MICE activities in the Nordic market. Related assists Macao Government Tourism Office with research, strategies, PR, trade and marketing activities in the Nordic market. Related is Nordic representative for Malta Tourism Authority and responsible for both PR, trade and marketing activities in Sweden, Denmark, Norway and Finland. Related is PR representative for Miami (GMCVB) in Scandinavia and responsible for all PR activities such as press trips, newsletters, broadcasting opportunities, etc. As the Nordic representative for Philippine Department of Tourism, Related handles all PR, travel trade and marketing activities in the four Nordic countries. As the PR representative for Visit Portugal, Related assists with press releases, newsletters, press trips, social media, etc. in Sweden and Denmark. Related assisted Sri Lanka Tourism Promotion Bureau with organizing a roadshow in the four Nordic capitals with the purpose of creating new partnerships between the Sri Lankan and Nordic travel trade. As the Danish PR representative for the luxury hotel The Fontenay Hamburg, Related is responsible for press releases, media pitches, press trips and ongoing press office.